So you think that those colorful scribblings on your wall resemble Piccaso's abstract art? Learn how to fulfill your child's destiny here. Re: Arts and Crafts Stores? [quote="Little Loomer"]Well I am a child and I love crafts and I agree that in Singapore, craft things are really hard to find. Here I places I go to buy my things: Popular at Compass point, Kracie's at Compass point, Kiddy palace if you are looking for craft toys at Compass Point, Daiso at Rivervale mall and Spotlight at Plaza Singapura. If possible, go to your child's school book shop or ask your child to buy it for you. I suggest buying things online at Q0010. They have Singapore citizens selling craft things and they come real quick! Hope it helps! Little Loomer wrote: Well I am a child and I love crafts and I agree that in Singapore, craft things are really hard to find. Here I places I go to buy my things: Popular at Compass point, Kracie's at Compass point, Kiddy palace if you are looking for craft toys at Compass Point, Daiso at Rivervale mall and Spotlight at Plaza Singapura. If possible, go to your child's school book shop or ask your child to buy it for you. I suggest buying things online at Q0010. They have Singapore citizens selling craft things and they come real quick! Hope it helps! This is very helpful! Was looking for crafts store everywhere but couldn't find what I'm looking for. I will try to visit these stores one of these days! One of the biggest art & craft shops in Singapore is Art Friend. They have shops in Bras Basah, Clementi & Plaza Singapura. You should be able to find whatever you want in there. Calling out to all parents!! Looking for a way to have fun with your kids?! 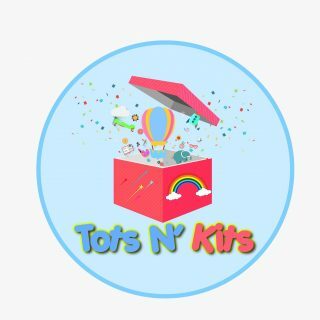 Tots N’ Kits aims to promote parent-child play through pretend play, storytelling and craft-making to create a fun and engaging way for parents to interact with their children!! You can try arts & crafting products by cass art & these days they have discount codes going on on there best products. Thanks for the recommendation. I'm looking for some supplies that I need to make a Christmas card. Is there a Tokyu Hands here in Singapore? I need some exclusive items from that store. Big one in Suntec City.